‘Celebrity Big Brother’ Spoilers: Is Lolo Jones Still A Virgin? Theories were thrown around briefly between Tamar Braxton and Dina Lohan about the reason behind it. Soap Dirt has the real reasoning for Lolo’s celibacy. Dina Lohan and Tamar Braxton are currently on the chopping block and shared a quick conversation about fellow houseguest Lolo Jones. 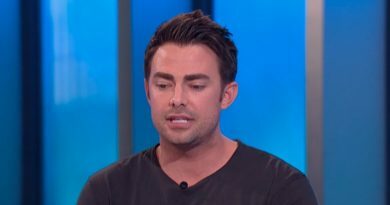 Dina said that she thought Lolo was going through something and that might be attributed to her attitude in the house. Celebrity Big Brother spoilers report that Tamar fired back that, of course, Lolo was going through something personally because she is, “thirty-six and she’s a virgin.” Looks like the Olympian has something in common with the current Bachelor, Colton Underwood. That led to Dina wondering if Lolo was straight. She did not specify what exactly she was thinking about Lolo’s sexuality before Tamar shut her down. Even though she was the one to throw the virgin thing out there. 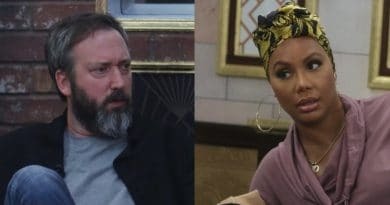 Celebrity Big Brother spoilers show that her faith is very close to her heart, which is why Lolo Jones is saving herself for marriage. The Olympian has given plenty of interviews and is very vocal about her plans to wait. Not only does she need a man who can understand her decision. She also needs one who can understand her lifestyle. Lolo has to travel a lot and has a crazy training schedule that not everyone might be ok with. She is constantly flying back and forth across the country, getting up early in the morning. She admitted how difficult it is to stay a virgin in an interview with Huffington Post. The Celebrity Big Brother houseguest said keeping a boyfriend is hard when you are waiting for marriage, according to Lolo Jones. The 36-year-old has even asked Instagram why she cannot keep a boyfriend. Her faith is more important to her and sacrificing it for a man is not on her to-do list. As it turns out, Lolo Jone is just like us. She has turned to online dating in hopes of finding someone who understands her wishes. We wish her all the luck on her journey for love! There is somewhere out there for the athlete. Follow Soap Dirt for all the up to date Celebrity Big Brother spoilers and news!